A survey indicates that Chinese will invest more in overseas markets. Among international buyers, Chinese are spending the most on homes. There are major differences in real estate practices between China and the U.S. The Chinese make up the largest segment of U.S. real estate foreign buyers, and this group’s interest is expected to continue growing, according to National Association of Realtors (NAR). The main reasons for this interest are diversification, immigration and education. Pollution is another factor that has become important for overseas Chinese buyers. Chinese make up the largest foreign buyer segment of U.S. real estate. Real estate agents have a range of different experiences when dealing with overseas Chinese buyers; some are great, and some are not so good. We wanted to share these experiences, so agents understand how to better prepare and close more deals. The first positive aspect of working with Chinese buyers is that they are typically looking for a more upscale property. On average, Chinese buyers purchased a property valued at $831,800, the highest among the top five international buyers for the U.S. real estate market. In comparison, a foreign buyer pays an average of nearly $500,000 for a house, and the overall U.S. average house price is about $256,000, according to National Association of Realtors. The average foreign buyer spends almost double the average U.S. home price on real estate. The second positive item is that Chinese buyers often pay in cash. Approximately 69 percent of Chinese purchases were reported as all-cash purchases, according to data from NAR. Every Chinese person is only allowed to convert $50,000 per year. To buy a dream home in the U.S., some buyers use the $50,000 quota of their relatives and friends until the total amount reaches their budget for the property in the U.S. They usually start the money conversion and transferring process long before they make the purchase. Due to the recent strict capital control monitoring of Beijing, transfer of foreign currency outside of mainland China is getting more difficult for individual investors. Therefore, we expect to see more purchases using financing for individual overseas Chinese buyers. The third positive aspect is that once Chinese buyers have their money ready, it could be a pretty fast decision for them when viewing properties; 75 percent of our clients who viewed properties in the U.S. end up buying one during their trip. We have a client who selected a school for his son. He prepared his money and then visited the U.S. He focused on properties near the school. During the two-week visit, he made a quick decision on the property that he wanted to buy. Most Chinese buyers start to engage local real estate agents in the U.S. long before they make a decision to buy. This can be quite challenging for agents. Clients ask questions and require to see listings, and it’s common for these clients to request that you as an agent show them properties in the city during their visit even when their money is not ready at all. This is partly because the common practice for real estate purchase in China doesn’t require such detailed documentation when submitting an offer; it only requires some money to be paid as deposit with the remaining payment schedule specified in writing. However, Chinese buyers might get upset if an agent reminds them of preparing money frequently. Some might even turn to another agent. Language is another challenge. 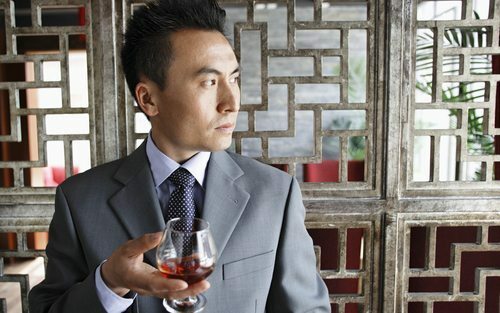 Many wealthy Chinese people are middle-aged and cannot speak English. Some of our clients have children studying or working in the U.S. who speak good English; however, the parents are the source of capital, and they have a strong opinion on what to buy. An agent speaking Mandarin or using a translator helps greatly in communication with the buyer and the buyer’s family. We have seen agents use Chinese speaking interns (students from the local university) to assist when Chinese families are viewing homes. The younger generation of Chinese citizens receive a good education, and most of them speak English. Maybe the most important challenge when dealing with overseas Chinese buyers is that almost all of them use different agents at the same time, and they sometimes do, until the day before they give an offer. We have heard about situations in which an agent would spend four days showing houses to a client. The buyer would then take one day off for sightseeing before returning to China. However, on that one day, the buyer walked into another real estate office and asked to see some properties. The new agent showed the clients one house, and the clients fell in love with it and purchased it right away. Although this could happen with many overseas buyers, this behavior of using multiple agents is the result of the common practice for property purchases in China. In China, there is no single MLS system for a city. Although there is data-sharing among some property agents, you will find that different agents are specialized in properties of different price levels and communities. In China, there is no single MLS system for a city. As a result, overseas Chinese homebuyers think that this experience in China is also the same in the U.S. As a result, they will talk to different agents at the same time, especially at the early information-collection stage. Chinese homebuyers tend to talk to other agents until they find out that everyone can access the same MLS database. We educate clients about the MLS system and the U.S. real estate industry to lower the chance that these clients talk to other agents. This peek into the Chinese buyers’ world will hopefully help you navigate working with foreign clients in the future.